Cotton pliers are used for handling cotton pellets, cotton rolls, small instruments, or other small items placed into or withdrawn from the mouth. 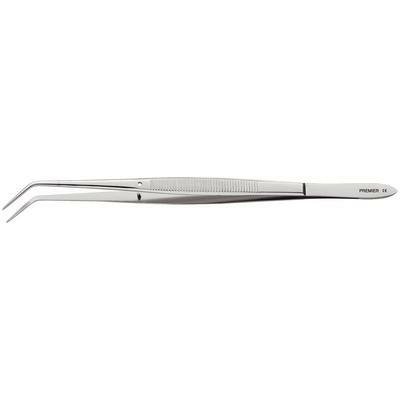 The dressing forceps are also used to carry liquid medication between the closed beaks for deposit in areas of the mouth or teeth. Dressing Pliers – Flagg, 6-1/4"